Get your app and listen to Grooves Internet Radio anywhere! Grooves is an online radio station heard all over the world, playing all your favorite music including many on original vinyl. Don't be surprised if you hear something you haven't heard in years! Grooves Internet Radio is not a station run by consultants figuring out we can make $ if we play this song at this time. It's programed by a music lover who listens to your input. Check us out and hear your favorite artists. Streaming right from our music collection straight to your desk or mobile device. Friday 10-5-12 - Because of the increase in listenership we have decided to stay on for at least another year!! This decision was made because of you the listener. Thanks for listening!!!! Monday 3-12-12 - You can now listen to us on the go!! Get your app for youe iphone of droid device today! Thursday 12-9-10 - We are adding Christmas music to our programming and starting Dec 18th will be Christmas music 24/7 until after Christmas. Monday 10-4-10 - WE ARE ON THE AIR! 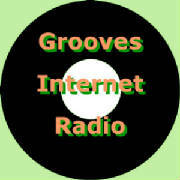 We really hope you enjoy the new Grooves Internet Radio. Sunday 10-3-10 - All the tests are done and we are ready to go live! The link will start working at 8:00a.m. Monday! Thursday 9-30-10 - We are not going to make the October 1st deadline. But we will be on Monday October 4th. We are finding lots of great music to play and we hope we are the candy for your ears! Thursday 9-16-10 - Welcome! We have our website! We have our Facebook page! We should be up and running October 1st if all goes well. We cannot wait to bring you your favorite music, from our music collect straight to you desk. Your favorites from the 70's 80's and maybe a good one from the 90's everyonce in a while.